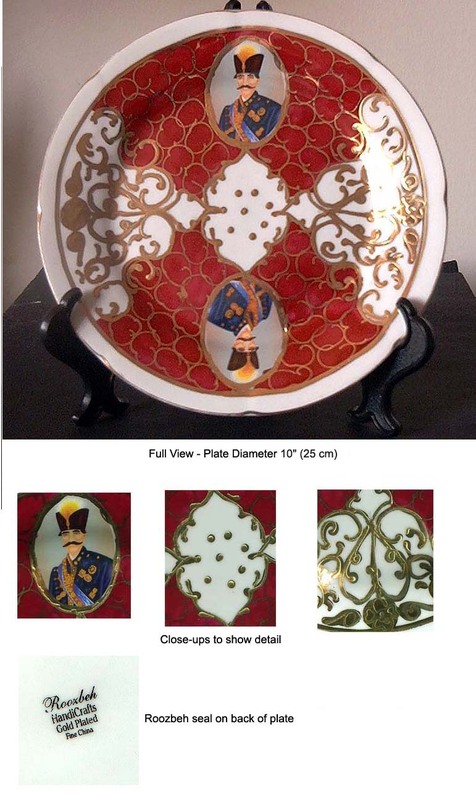 This decorative plate is hand-painted by Roozbeh China of Tehran. It features a portrait of a Qajar Shah. The Qajar Dynasty was the ruling Persian family from 1795 until 1925.